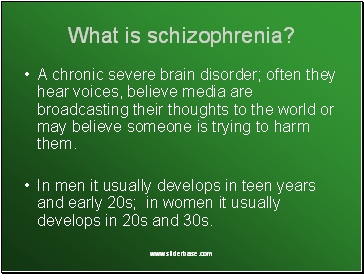 A chronic severe brain disorder; often they hear voices, believe media are broadcasting their thoughts to the world or may believe someone is trying to harm them. 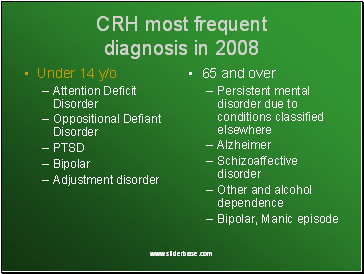 In men it usually develops in teen years and early 20s; in women it usually develops in 20s and 30s. 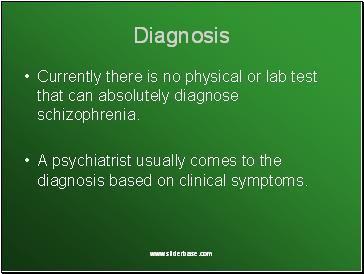 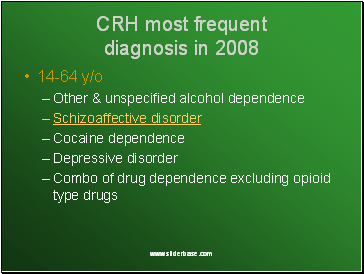 Currently there is no physical or lab test that can absolutely diagnose schizophrenia. 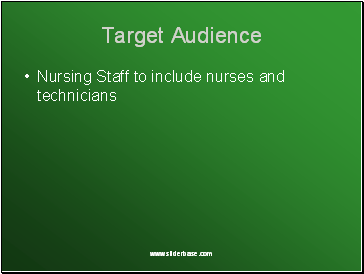 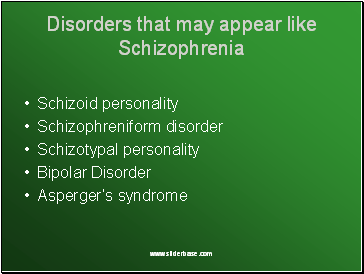 A psychiatrist usually comes to the diagnosis based on clinical symptoms. 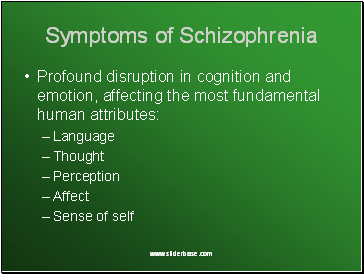 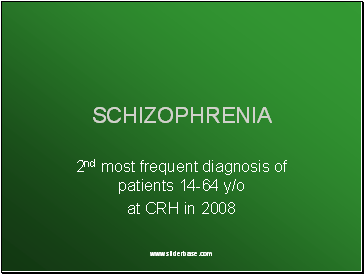 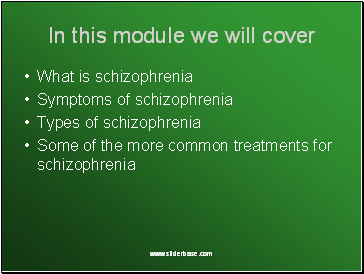 This is a common problem since schizophrenia shares a significant number of symptoms with other disorders. 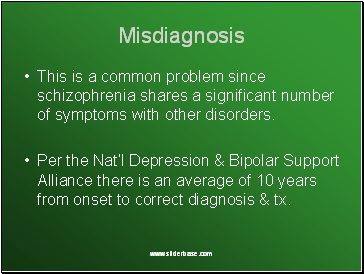 Per the Nat’l Depression & Bipolar Support Alliance there is an average of 10 years from onset to correct diagnosis & tx.